Click HERE to view this presentation from the 2011 MIT Sloan Sports Analytics Conference. A limited number of seats still remain for our DNS "A" course. Sign up now before the last seat is gone! Click HERE to read Shon's second review of the BSMPG Summer Lecture Series, "Standing On The Shoulders Of Giants." 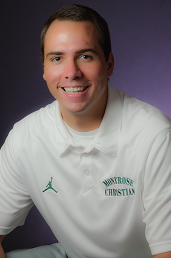 BSMPG and Everything Basketball is proud to add Matt Johnson, Head Strength & Conditioning Coach at Montrose Christian School to our basketball advisory board. For the best Basketball Specific Performance and Health Information visit BSMPG's Everything Basketball website and learn from coaches, therapists and other basketball specialists from across the world including those at top university's and the NBA. Coach Johnson is the Head Strength and Conditioning Coach for Men's Basketball at Montrose Christian School located in Rockville, MD (2011 ESPN Rise Champions and # 2/3 in the Nation according to USA Today and Powerade Fab 50). Along with his position at Montrose, Matt is the owner of Strength Coach Concepts, an information based website for parents, athletes and coaches interested in the field of strength and conditioning. Matt has a vast amount of experience training basketball players from all performance spectrums, skill sets and abilities. His past clients include players from the high school, collegiate and professional ranks. Matt is a multi-faceted strength and conditioning professional. He is passionate about research as well as coaching. Recently, Matt completed research which took over 2 years to complete. The study investigated the acute strength responses exhibited after training with chain variable resistance. Matt has also completed research on topics such as lactic acid production, aerobic capacity and neuromuscular efficiency. He is currently investigating the incidence and type of injuries related to basketball players in order to design an effective injury prevention program for his athletes. Coach Johnson received his B.S. in Exercise Science with a minor in Sports Nutrition from Marywood University (Scranton, PA). In 2009, Matt received his M.S. in Strength and Conditioning from Bridgewater State College (Bridgewater, MA). While attending Marywood, Matt was a 4 year member of the Varsity basketball team and captained the squad his senior season. In the past, Matt served as a full-time intern in the Olympic Sports Strength and Conditioning Department at Boston College. While at Boston College, Matt worked with the Men’s and Women's Basketball teams. His other work experience includes Bryant University, Velocity Sports Performance and Evolution Sports Performance. Matt has been instructed and educated by Lee Taft (Sportsspeedetc.com), nationally recognized speed and movement expert.